Prop Trading means the trading by an individual or entity that trades its own money. The expression Prop trader originated in the Investment banking industry. It was originally applied to employees tasked with extracting extra profits from the order flow of its clients. The bank would act as an agent between buyers and sellers, and would hold the assets for a period before completing the deal. In this way, it could enhance its income above a simple agency fee. This of course raised questions of conflict of interest. In response to increasing financial regulations that required institutions to separate its client related activity from its own self interests in profits so called Chinese Walls were introduced. The sales traders dealt with customer flow while the prop trader traded the bank’s assets. Such regulation became even more stringent after the credit crunch crisis. The recent Volcker Rule forced institutions to spin off their prop desks or shut them down completely. A lot of the heads of these desks left at various stages to form boutique hedge funds or prop trading firms. Today, these specialized firms tend to focus on technology driven quantitative methods. 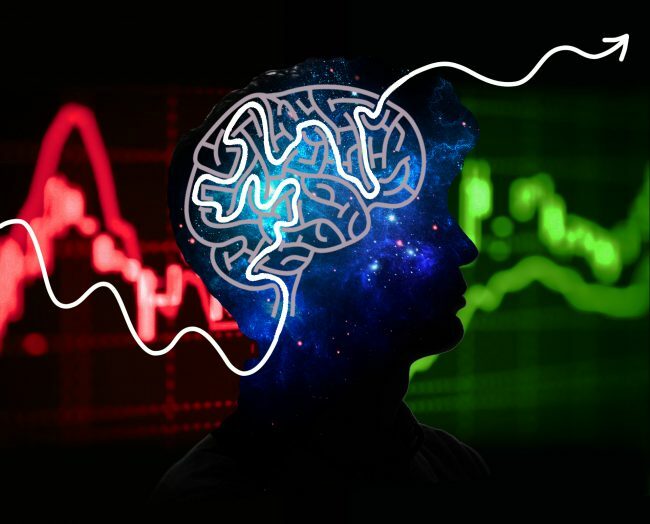 Outside the specialized quant based operation, traders gravitate towards the exchange traded futures and FX markets where prop trading has been around since the 70s. Typically formed by an ex institutional trader and funded by one main investor or backer, they employed individuals to trade on the firm’s behalf. As the firm’s own money was on the line, these firms invested in educating and nurturing their traders. They had a vested interest in the development of trading skills. These types of prop firms have a wide variety of revenue share and remuneration models. Generally speaking, the traders are independent contractors and are happy to shed the corporate constraints of institutional trading in return for funding. Prop traders come from a variety of backgrounds with the most common being graduates, ex-bank dealers and committed retail customers seeking a more robust career. The prop trading firms tend to rely less on paying salaries and more on profit share arrangements. Generally speaking traders will have to be exceptional to earn a good living from the profit share model. On the other hand, salaried positions will require a track record of excellence and will be highly contested. For the would be prop trader, the alternative to obtaining a prop trading job is to self-fund and trade through a broker. However, an initial deposit of at least £100,000 is required to make a career out of it. The costs of setting up alone will outweigh those of trading with a group of others. The benefits of trading with others is the sharing of costs and more importantly knowledge. A prop trader will always have costs, however the largest advantage the backed trader has over the independent self-financed trader is the removal of the risk of personal loss. This factor can have a dramatic effect on the psyche of a trader, especially in the early stage of a career. “Other people’s money” is a comfort. It encourages objective trading without the pressure of the possibility of undefined or catastrophic personal loss. The firm has funds it would like a good return on but does not want to lose. Financially backing a trader runs the risk of loss. A proven profitable trader is less likely to require funding than an untested trader yet each trader needs time to achieve profitability. How then to test and discover profitable traders able to achieve exceptional returns for a firm without the risk of financing, and covering the costs of initially promising but not successful traders? And for the trader who believes he has the potential to achieve exceptional returns, how best to build a track record and a case for large funding without personal risk of loss? There are now prop trading firms who offer a possible solution. A new model has emerged where the trader pays a small fixed monthly contribution to his running costs, and in return, he is allowed to trade a small account to prove himself before receiving a large house account that enables him to extract exceptional profits. These firms offer all the advantages and benefits of the traditional prop trading deal for much less than costs of self-funding. The removal of the pressure of loss allows the trader to take time to grow and demonstrate excellence, and the upside of managing larger and larger amounts without linearly growing account size remains. The key to this model’s success is the control of risk, also the new provision of the support, education and nurturing found in the traditional prop trading firm. Unlike the fully independent trader route, this model provides full access to a support and knowledge base, which encourages personal growth and development. For new traders especially this prop deal offers vast benefits. The early stage of the prop trading career is traditionally littered with loss. The accepted wisdom is that 80% of traders fail. Let’s look closely at this. In the famous study of traders by Hieronymus, an agricultural economist at the University of Illinois, an interesting point emerged about the profitability of new traders. Hieronymus analyzed 462 speculative trading accounts of a major brokerage firm over the period of a year in 1969. The accounts traded the full range of commodity contracts available at that time. Over the year, 164 accounts made profits and 298 accounts made losses, so just over a third of traders made money. To expel first time dabblers Hieronymus eliminated all accounts that closed after only a short time. Only traders who had made more than 10 trades over the course of the year or had losses or gains in excess of $500 were counted. In the group of regular traders, it was found that 41% of the regular traders made money during the year. The majority won or lost a moderate sum of $3000 or less, although some made or lost much greater sums. Overall, the market showed its zero-sum nature, because in this group the net profits were approximately zero, which means 41% of traders took money from the remaining 59%. The one-timers lost 92% of the time. The Conclusion? Most traders enter the market unprepared and without education or guidance. They don’t expect to lose, then take loses and then quickly give up or run out of money. Those that stick around through the initial learning period learn to play the game can be winners, but not the majority. Therefore, the first few months of trading should be in an environment where the stigma of personal loss is removed, and the inevitable early losses are instead applied as costs within an environment that recognizes and rewards committed traders after the learning stage.